After an initial selection in the vineyard during picking, the grapes are brought to the vat-house. Built in 2000, it has three reception lines. In pursuit of the highest quality, a team of nine people sort the bunches by hand before they are destemmed. 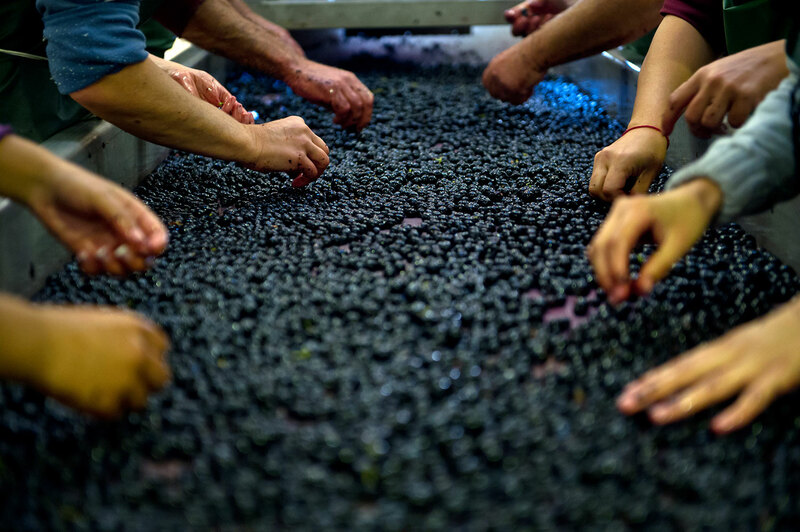 The individual grapes are then sorted optically and again by hand before being finally transferred to the vats. All the vineyard work of tasting the grapes and harvesting them parcel by parcel is continued in the winery. 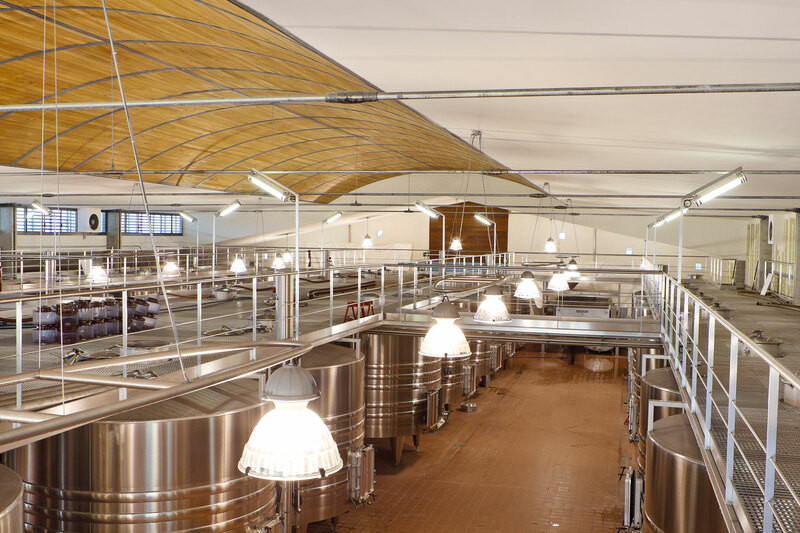 The vat-house contains 70 temperature-controlled stainless steel vats of different sizes, meaning that wines can be made to measure. They are vinified with complete respect for the grapes. Each stage in the process is designed to reveal the expression of the terroir and obtain a particular style, that of Montrose. The wines are vatted for 25 days at most, respecting the fruit and the substance. All the lots are kept separate after running-off so that all the different profiles of the vat wines are available for blending. The pomace is pressed with a high degree of precision. The press wines are then stored in barrels and selected: the finest will be used in the first wine. Blending tastings start in December. All the samples – nearly 60 different lots – are tasted and classified according to their style and profile. They are then selected and blended according to the personality sought for each wine.